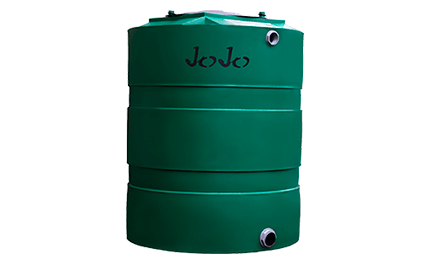 Do you need JoJo water tanks installed? Looking for a sustainable water backup system for your home of office? A Municipal water backup storage? Looking to save water? 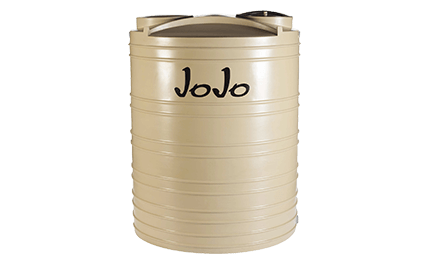 Looking for a Jojo Tank or a water tank storage solution? Look no further. Call today and smile tomorrow. You have come to the right place! Skunk Water Solutions are passionate about helping you save water in a cost effective and sustainable manner. 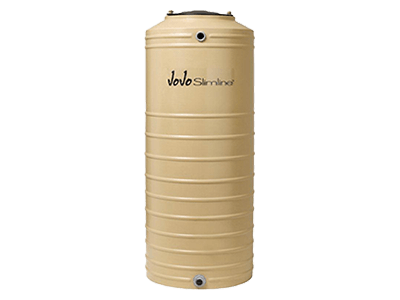 Skunk Water Solutions are accredited JoJo Tank installers certified by JoJo South Africa the leading manufacturer of quality polyethylene water storage solutions. Jojo Tanks sizes range from 260 litres to 20 000 litres. 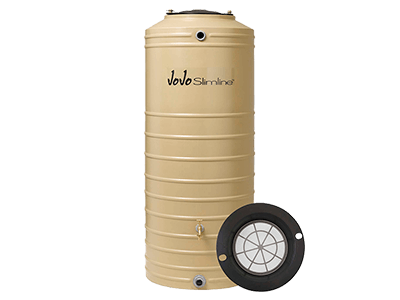 whatever your application needs are Skunk Water will be able to provide you with a Jojo Water Tank storage solution. 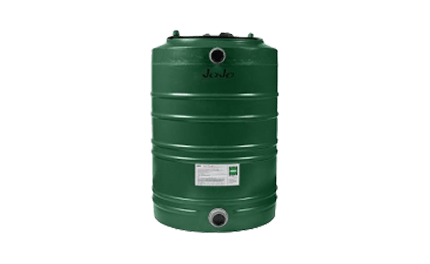 We supply the full range of Jojo water tanks with professional installations carried out for use in domestic, agricultural, industrial and commercial applications. We provide total turnkey solutions, from foundations right up to gutters. Invite us today to quote you on your Jojo Tank requirements. Our prices are competitive and workmanship is unrivaled. 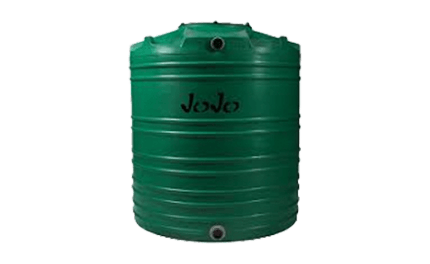 Q: What other uses can a Jojo Tank provide apart from storing water for watering your garden? A: Watering your garden from a JoJo Tank is probably the most common as well as topping your pool up. It is also common for reusing the water back into the water systems for toilets, showers, taps, etc. With a correctly installed water filtration system, the rainwater can be filtered to good quality drinking water and will be better than municipal water. Q: Why are Jojo Tanks so durable? A: They are made from a high-quality, UV-resistant polyethylene. Tried and tested to withstand the harshest weather conditions and come with a 10-year warranty. Q: Can you only use Jojo Tanks for storing water? 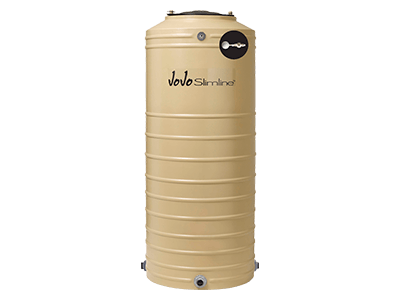 A: Jojo Tanks are capable of storing different types of liquid-based materials and chemicals, diesels, sewage as well as product such as fertilisers. Vertical Water Tank, 480mm Lid, 40mm Water Outlet Fittings. Inlet & Overflow 50/40 Reducer. C/W Sieve, 480mm Lid. Inlet & Overflow 50/40 Reducer. 40mm Water Fitting, 2nd Outlet 20mm Water Fitting c/w 20mm Brass tap. 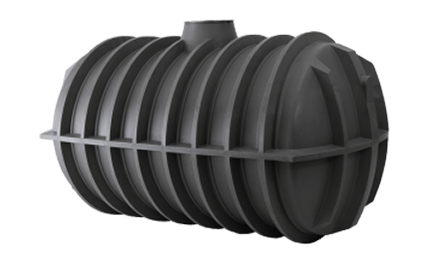 Perfect to add to the rainwater tank 480mm Lid, 40mm Water Outlet Fittings. Inlet & Overflow 50/40 Reducer. 480mm Lid. Pre-fitted with a float valve, accessory adaptor and 40mm outlet. Suitable for 20-25 people, available for greywater, blackwater and fresh water or rainwater harvesting. Please Note: Actual colours may vary. 10% premium on Marble Colours.